Australia is home to more than 60 wine regions throughout the country, several of which are world-renowned for their top quality tastes. 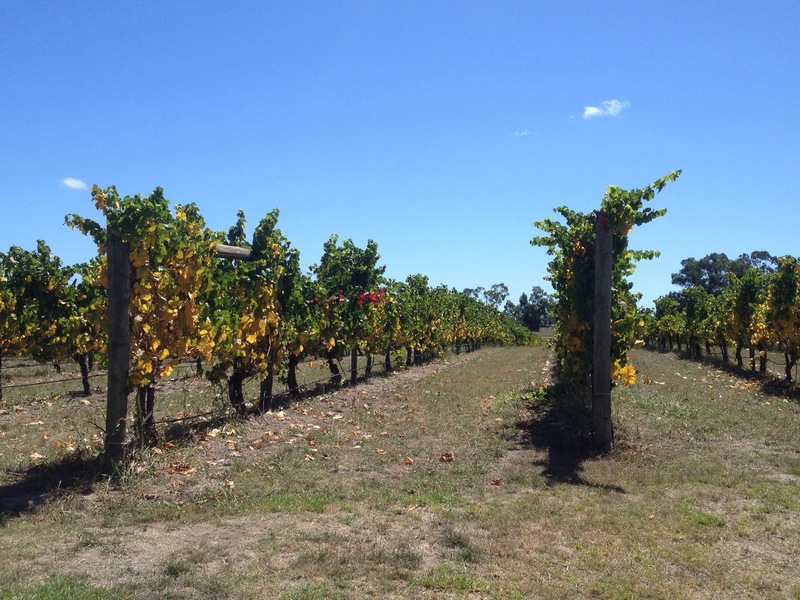 One of the Australia’s largest wine regions is located in the great state of Victoria, about an hour outside of bustling Melbourne. 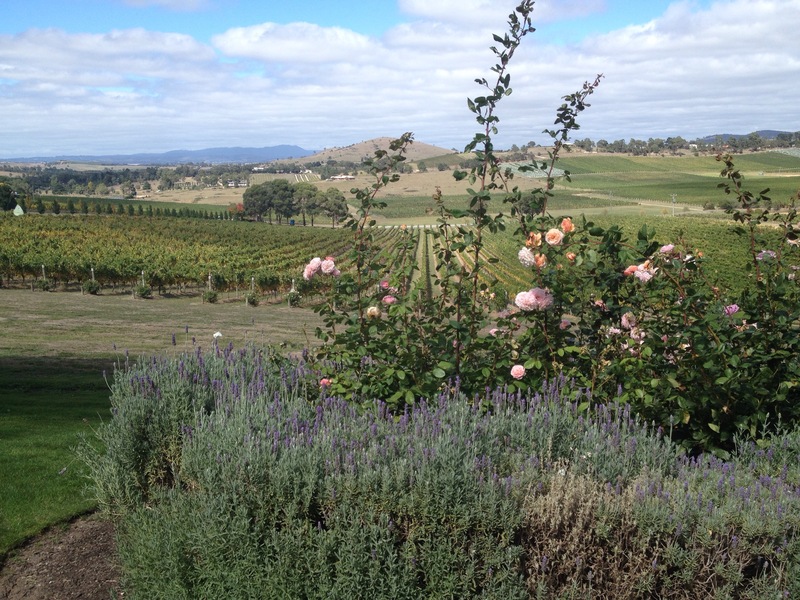 The Yarra Valley is the state’s major wine region with more than 80 wineries and known for its Pinot Noir and Sparkling wines. 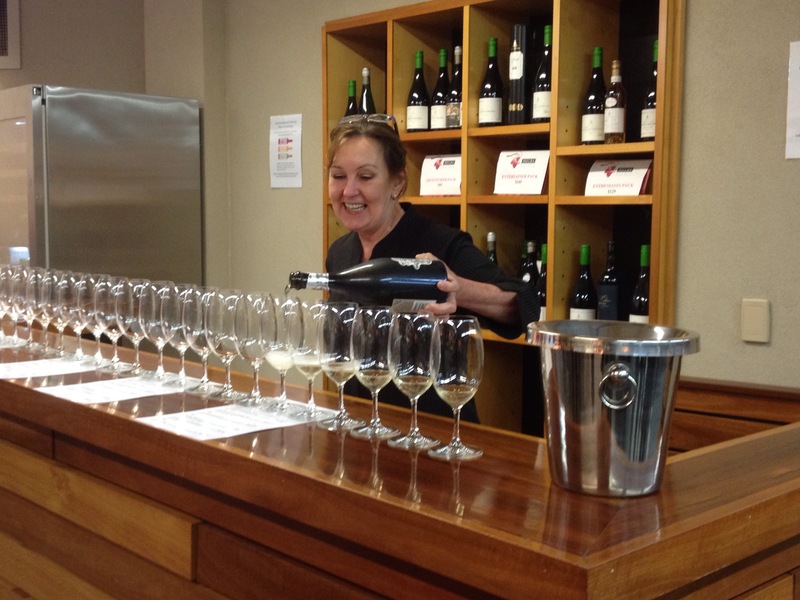 As I continue to travel around Oz, I make a point to taste the flavors of each state’s wine. For my Yarra Valley exploration, I joined a wine tasting tour with Go West Tours and headed out of the city for the day. Our drive out of the city took us up alongside the Yarra River, running through east-central Victoria. 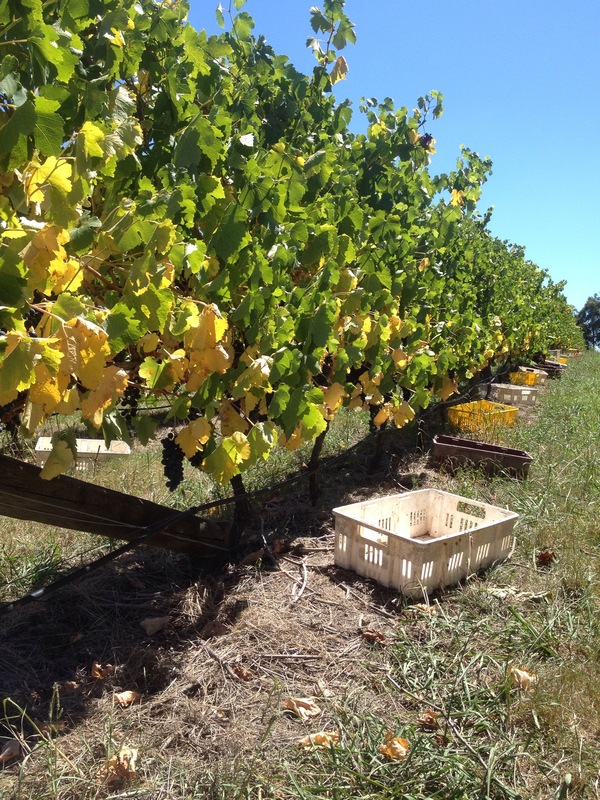 It is two days out from the official start of Autumn and the vines are full of fruit, many ripe for picking. The leaves are preparing for the upcoming season as well, with changing colors of yellow, orange, and even splashes of red along the vines. 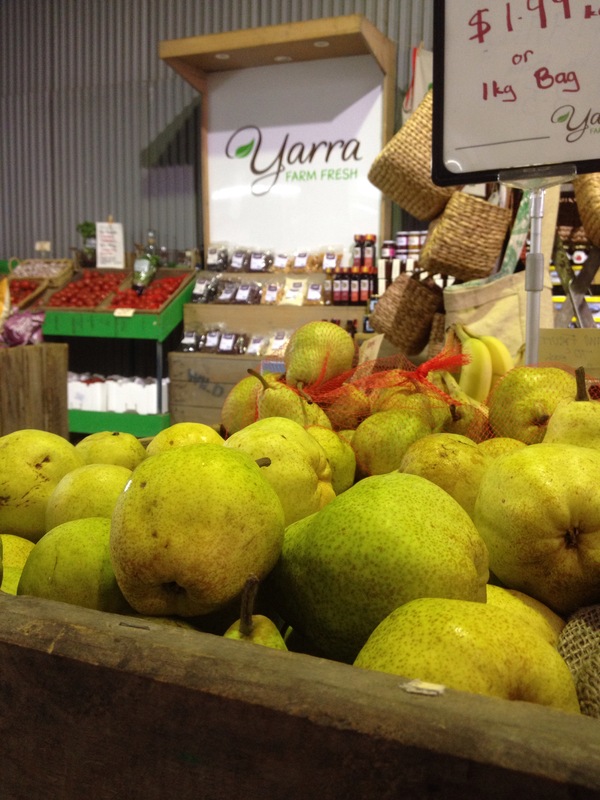 The first stop is Yarra Farm Fresh, a local produce shop tucked behind strawberry fields. A sign out front alerts visitors to the fresh local produce currently in season. Our group sampled strawberries, gala apples, pink lady apple juice, plums, and a chewy nougat, all locally grown and produced. I picked up a large carton of strawberries for $3, a few pears, and beautifully hand-made cookies. I couldn’t resist. Our next stop is DeBortoli Wines, a family owned and operated vineyard in the Valley. Here we are offered six wines and a cheese spread to taste. We begin with a Sparkling and move through a Pinot Gris, Chardonnay, Syrah Gamay (my personal favorite), and Cabernet Sauvignon. Our final tasting is of their sweet wine, the multi-award winning Noble One. Each wine is beautifully crafted and packaged, leaving us all ready for more. Next we are off to Cold Stream Dairy for a cheese tasting. We sampled an array of 5 different cheeses including goat and feta. All the cheese is made on site, with the exception of the feta, crafted just down the road. I am loving all the local tastes! Cheese or no cheese, lunch is next! It feels like we are eating our way through the valley today – not that I’m complaining. 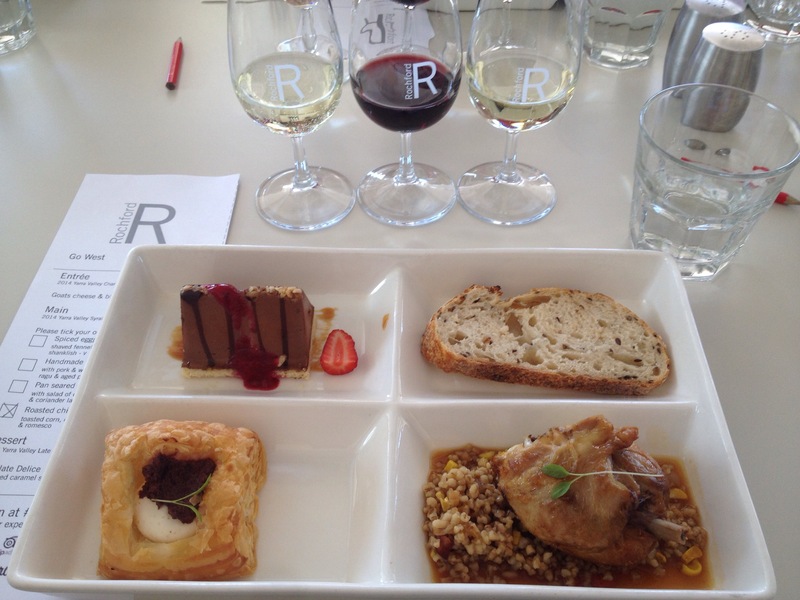 We head to Rochford Wines for a group meal, wine tastings included. This vineyard is known for its concerts on the green and a stage is currently being constructed to welcome Rob Thomas (I think I’m the only person on our tour who knows who he is…). Our lunch includes a choice of eggplant, gnocchi, Kingfish or chicken for the main and is served neatly with an olive and cheese pastry tart, a piece of bread, and dessert. Three small glasses of wine are laid out to match the food as well. All delicious! After lunch, we are granted 30 minutes of free time to explore. I head immediately out to the vines to check out the harvesting that is now in progress. Because we haven’t had enough food (or sugar! 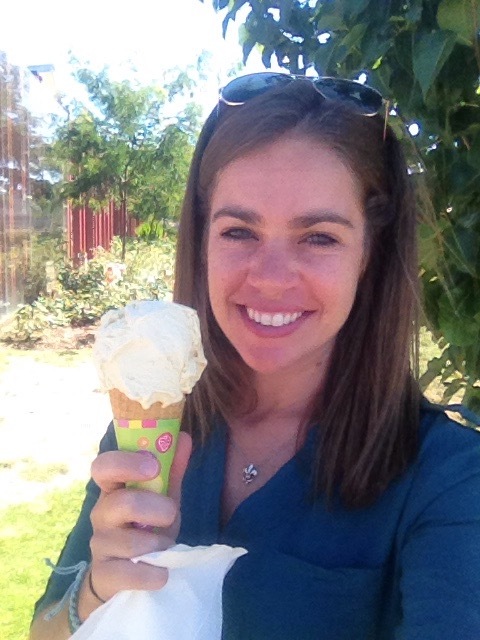 ), our next destination is Yarra Valley Chocolaterie & Ice Cream. As if walking into Candyland, this store fulfills every childhood dream. The room is filled with bright colors and endlessly tempting sweets as well as a cafe and ice cream bar. We sample several unique chocolates including one with celery and another with rosemary and orange. 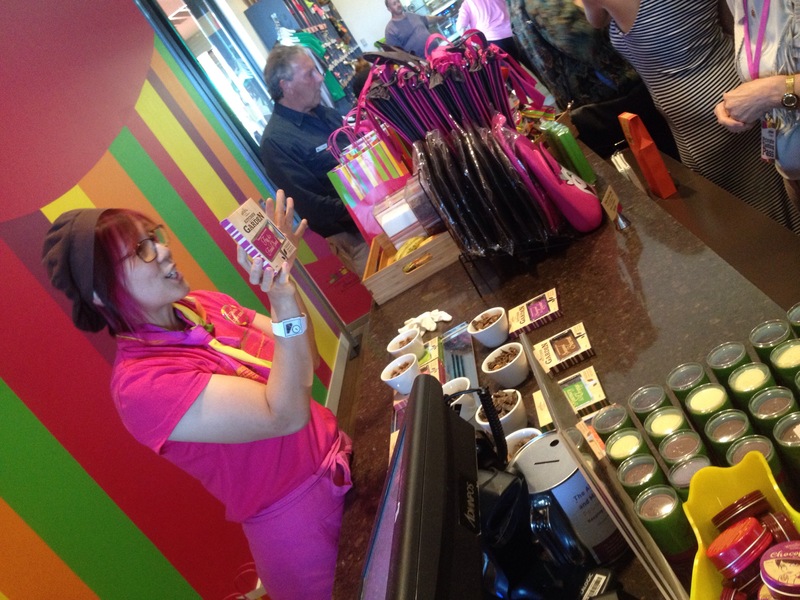 These chocolatiers are trying to be “healthy” with their flavor options. I avoid all the adorable gift options and purchase ice cream in a cone instead. Pure joy! Our final stop is Coombe Farm, previous home of the famed opera star, Melba. The farm is a small part of her estate and only recently opened to the public. 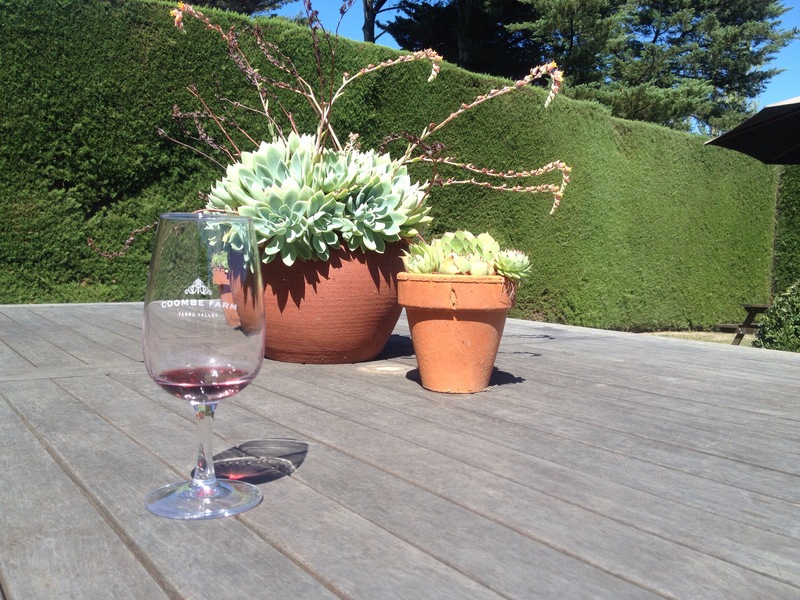 The expertly manicured lawns and hedges provide a romantic and relaxing setting for our final tasting. We sampled a Pinot Gris, Chardonnay, Shiraz, and Cab Merlot. While they are all beautiful wines, my taste buds are worn by this point and many of the flavors seemed to blend together. This full day of wine and food tastings called for a well-deserved nap on the hour drive back to Melbourne. Cheers! Oh my! What a great tour!